French fry containers have been around for a while now and I’ve hesitated buying them. I never really had a reason to buy, which usually doesn’t stop me … the 50% off sign was my reason … ideas came later! Sometimes everything falls into place … just may take a while! 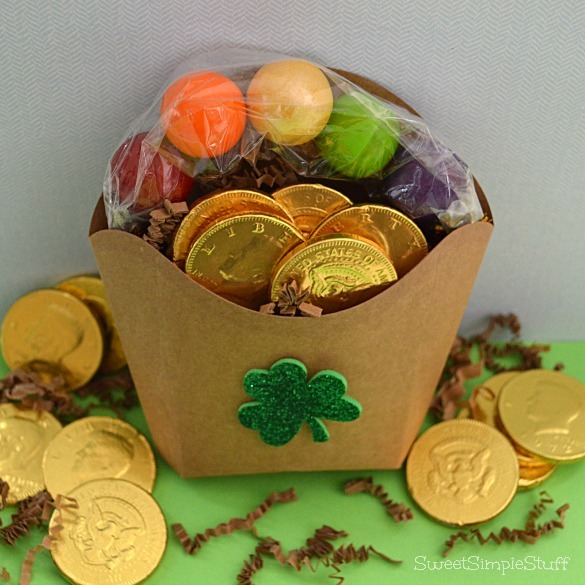 After I finished making this St. Patrick’s Day box … realized that any candy wrapped in gold foil (Rolos, Hershey Nuggets, etc.) would work or even real gold coins! If you can’t find the boxes at your local craft/party store … found them online here and templates here. 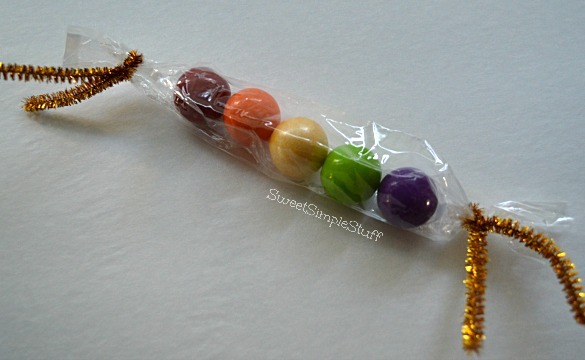 Put the gumballs in the cello bag, use twist ties/pipe cleaners on each end of the bag to create a “loose” tube. Bend the gumball tube slightly and tuck ends of tube/bag into the french fry box, forming a rainbow. Secure with a small piece of tape or dot of glue, if necessary/desired. Fill the box loosely with grassy stuff. 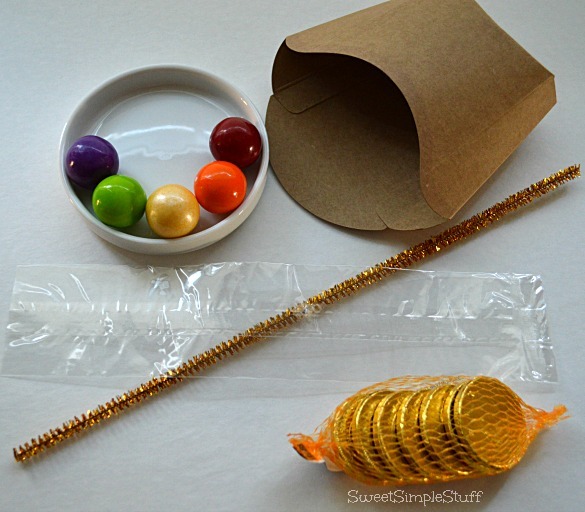 Arrange gold coins as desired. Add sticker/decoration to the front of the box. 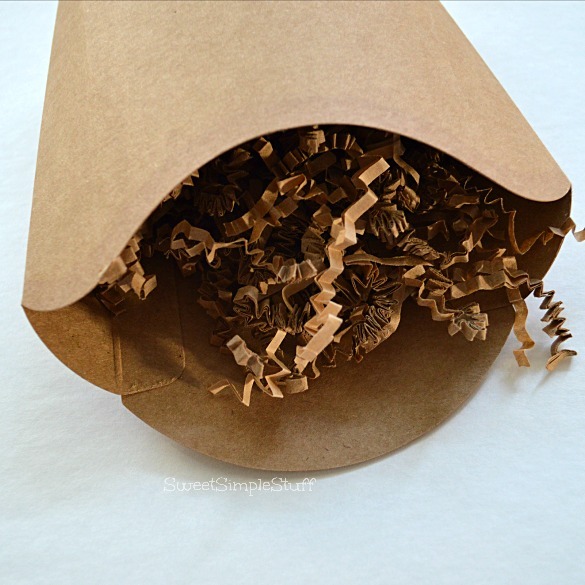 Alternate idea … tie a ribbon or baker’s twine around the box! 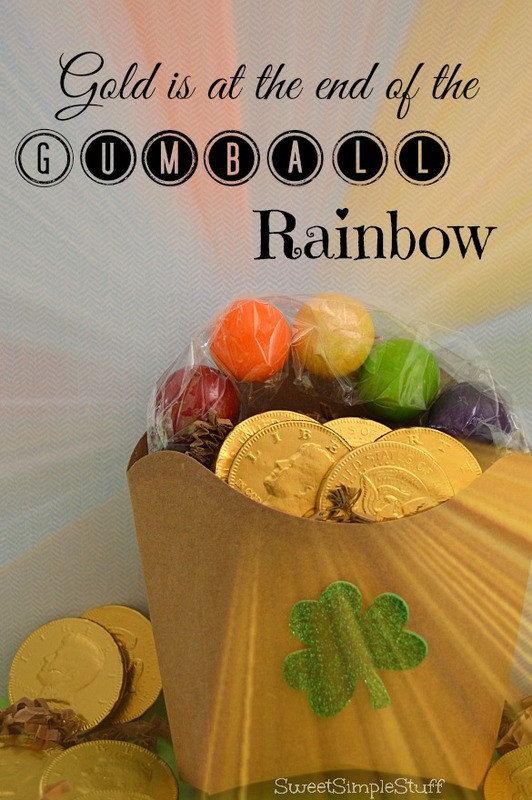 It’s been raining here … no rainbows yet … let alone a pot of gold! 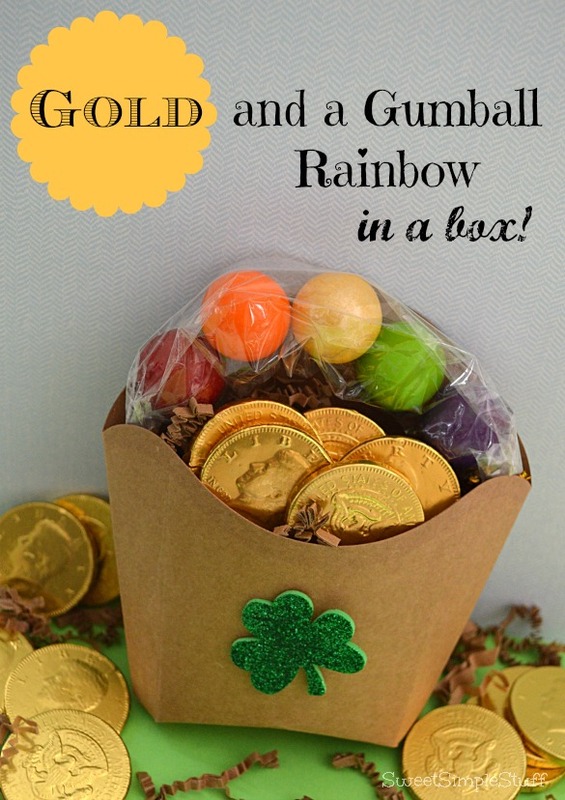 Guess I’ll settle on chocolate gold coins until I find that leprechaun! I have more ideas lined up using french fry boxes … don’t know why I didn’t buy them sooner! Many of my friends and family are great bargain hunters. The winner is a friend of mine that bought a $200.00 pair of shoes at Nordstrom Rack for $.01 … yes, she bought them for a penny!!! I’m in awe of her! Are you a bargain hunter … found anything that you would like to share? Thank you Colleen 🙂 I’ve got one lined up for Easter, but still brainstorming … got any suggestions?? ?